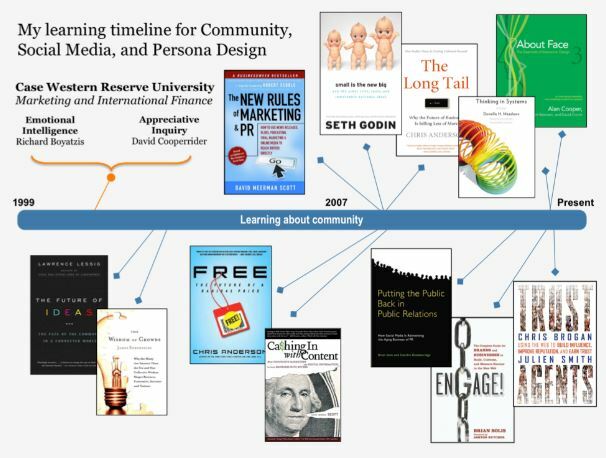 When I presented at the Shifting Role of OD in Business Conference in St. Louis, I showed a visual timeline of sources and influences that led me from organization development into social media. 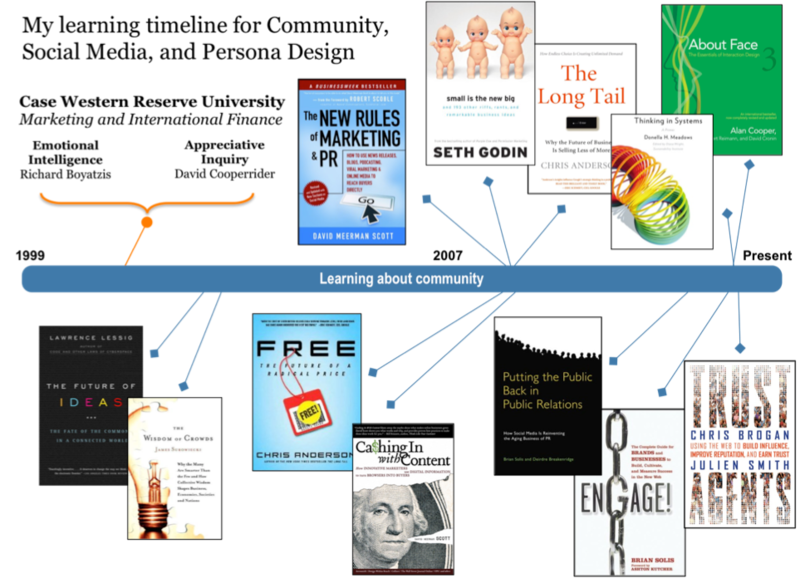 I am asked for further insight into the sources and this slide. Select image for a page with an expanded timeline and hover over each image for further information on each source.